Jim Berkenstadt, author of the Amazon Best Seller, The Beatle Who Vanished, will appear as a Guest Speaker and will sign his book at The Fest For Beatles Fans August 14-16, 2015. He will also be sharing a table and presenting on The Beatles First World Tour with Jude Southerland Kessler, famous author of The John Lennon Series, a nine volume expanded biography on John Lennon’s Life. Along with being an accomplished author Southland Kessler is the host of her own radio/podcast show where she interviews people connected with The Beatles and discusses Lennon and Beatles news, books, and memorabilia. The show is called The John Lennon Hour. 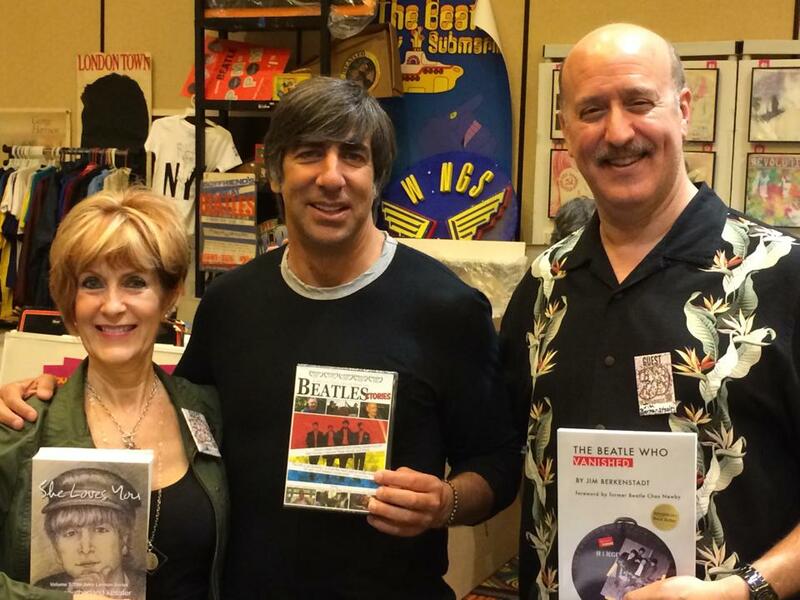 Good times at LA Fest for Beatles Fans with Lennon series author Jude Southerland Kessler and Beatles Stories film director Seth Swirsky.